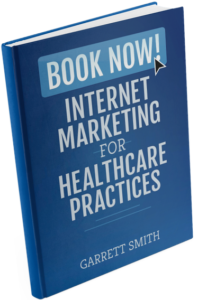 Your Competitors Are Online – What is Your Healthcare Practice Waiting For? From referring doctors to patients themselves, plenty of people looking for healthcare providers are looking online—and the number of people relying on online sources, versus personal and professional word of mouth, is growing every day. Many healthcare practices are already taking advantage of the power of online advertising and a strong online presence, but many more are still sitting on the sidelines. And they’re getting left in the dust. Here are three reasons you need to be investing in your online marketing, and three easy ways to start doing exactly that. Publishing your peer-reviewed article is a necessary part of growing your professional reputation with your medical peers. You can also use this work to enhance your standing and credibility with your prospective patient pool. I think we all know that your prospective patients aren’t going to read the minutiae of a medical study. That doesn’t mean that you can’t use the fact that you published one go by unnoticed by laypeople. The typical internet user spends 109 minutes on social media every day. There’s no reason in the world why your medical journal article can’t get some of that social media time. Most medical practices join social media through Facebook and Twitter. But why are they staying out of the social media platform that has surpassed Twitter in user count and shames Facebook and Twitter when it comes to user engagement rates? I’m talking about Instagram – the image-sharing site owned by Facebook. The typical layperson isn’t quite ready for medical photography to go mainstream. For those of us not used to it, most of it is pretty jarring. Not exactly what people are looking for on social media. But Instagram is the United State’s second most popular social media network and projected to have an U.S.-based audience of 111.6 million by 2019, which will be than 40 percent of internet users. What’s a medical practice to do on Instagram? Note: This is the third and final post in our series about content marketing for medical practices. Click here for Part I and Part II. This post covers the topic of how to make content marketing work for your practice. One of the keys to content marketing is consistency. And the key to consistency is planning ahead of time. One of the best ways to make sure you publish regularly is to create a monthly or quarterly content calendar to keep your content marketing on target. Part II: What Types of Content Marketing Do Patients Want? Note: This is the second post in our three part series about content marketing for medical practices. Click here for Part I and Part III. This post covers the topic of what types of content marketing healthcare patients are looking for when they visit your website. Your content marketing should be patient-centered. Before you come up with topics or choose the particular medium you’ll publish in, consider what your patients want and need. Sports medicine providers, for example, will need different types of content than pediatricians. Note: This is the first of a three part series on content marketing for medical practice websites. This post answers the question, “What is content marketing for medical websites?” Click here for Part II and Part III. Content marketing is a big buzzword these days. While it’s taken over many industries, healthcare has been slower to catch on. It’s finally starting to make headway, and soon medical practices that don’t deploy content marketing will be left behind. In this day and age, your patients are being bombarded by medical information online. They turn to websites like WebMD or online forums to self-diagnose their ailments. While these resources can be helpful, often they do more harm than good. Your online content, a digital medical library, so to speak, is a much better place for your patients to learn about their health.